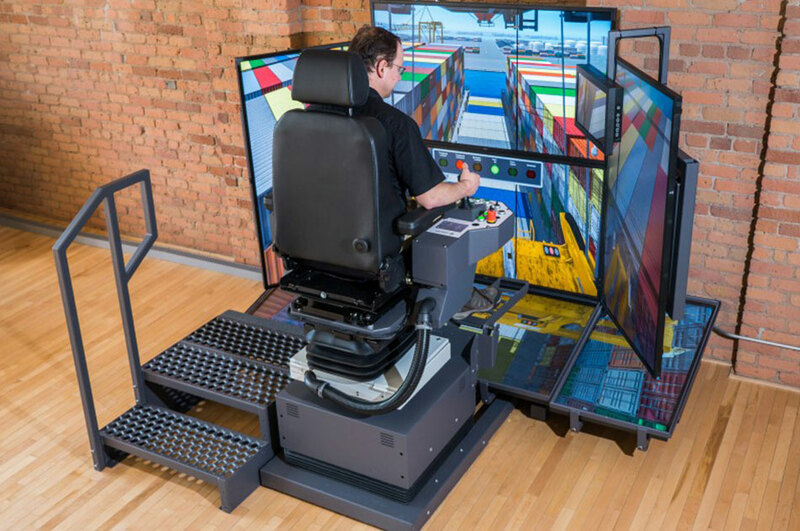 Maximise student engagement with an immersive and flexible training simulator. 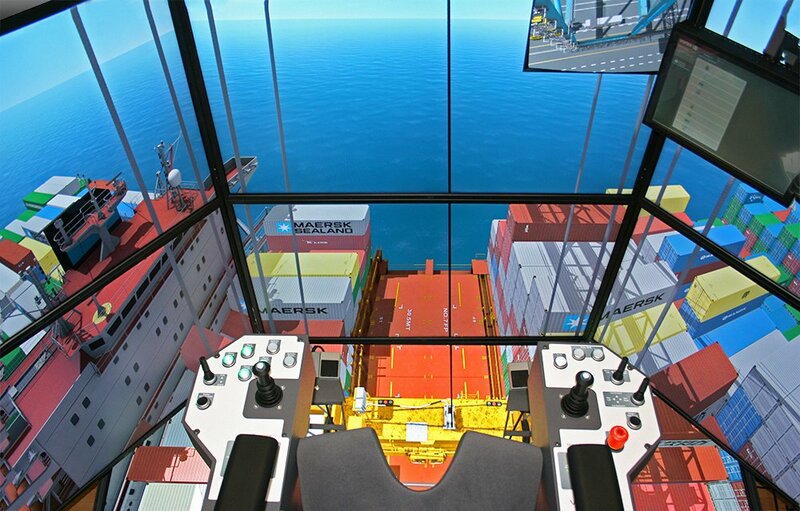 Vortex simulators are tailor-made, delivering an immersive learning environment compatible with our entire range of port training solutions. 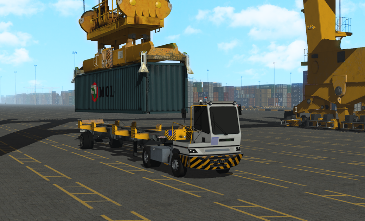 Built with reliability in mind, Vortex simulators maximise uptime and allow you to train more operators faster. 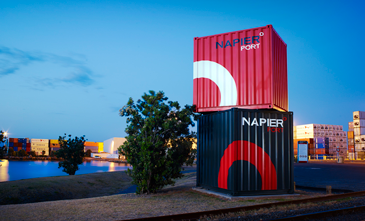 Discover why Vortex simulators set the bar for port training solutions. 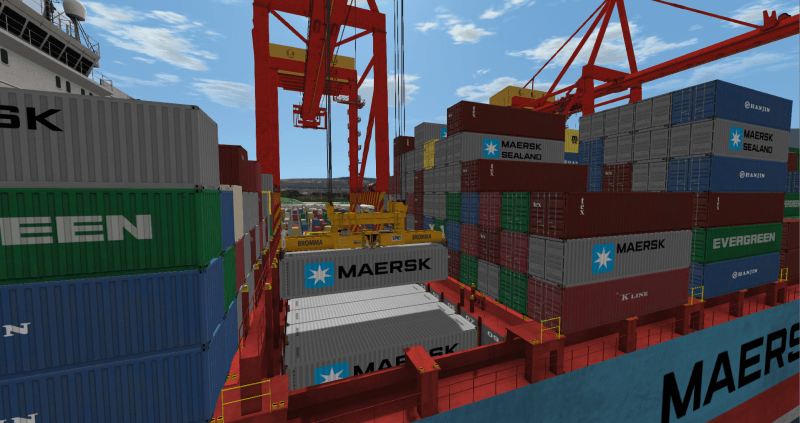 Vortex simulators scale from single-screen configurations to full containerized systems. 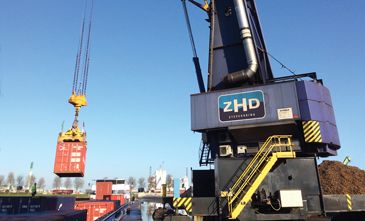 They can even be delivered in containerized configurations that can easily be shipped between terminals. 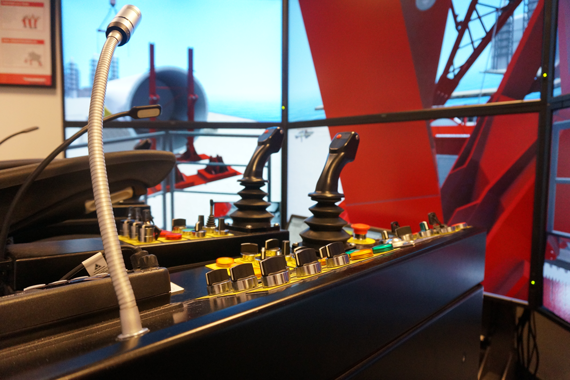 Control sets can be swapped in an instant, making sure each simulator supports our full range of port equipment training solutions. 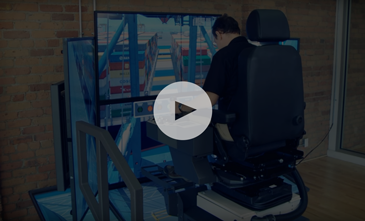 Vortex simulators feel like the real thing and use industry-standard or OEM control sets matching your port’s equipment to maximise learning. 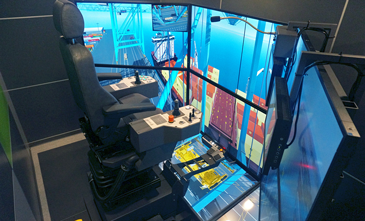 Each simulator is designed to reproduce actual cabin visibility and line of sights, making sure skills transfer directly to live equipment. Vortex simulators go beyond rich visuals and deliver a complete experience that enhances skill retention. 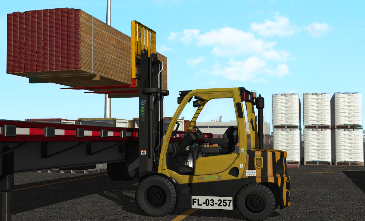 Machine motion and vibrations are rendered using motion platforms, while the surround sound system delivers authentic equipment and environment sounds. 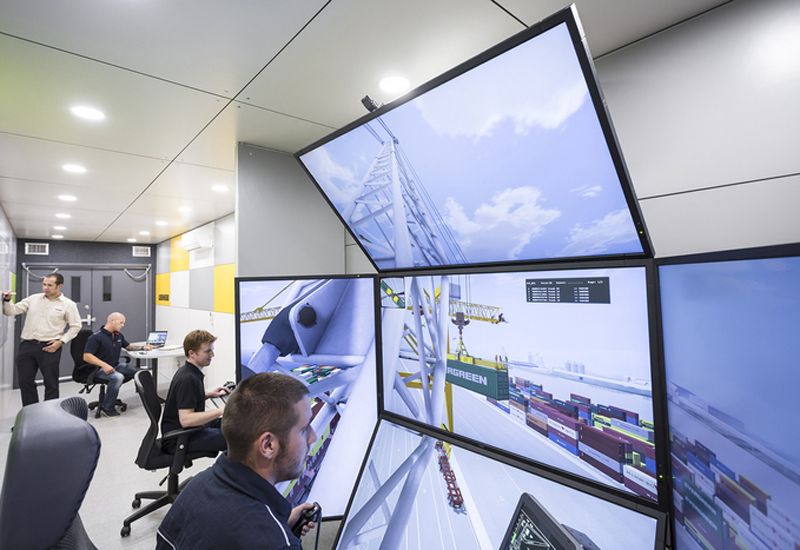 From ports- and ship-based cranes to cargo handling equipment, Vortex simulators support a complete range of ports and container terminal equipment training solutions.